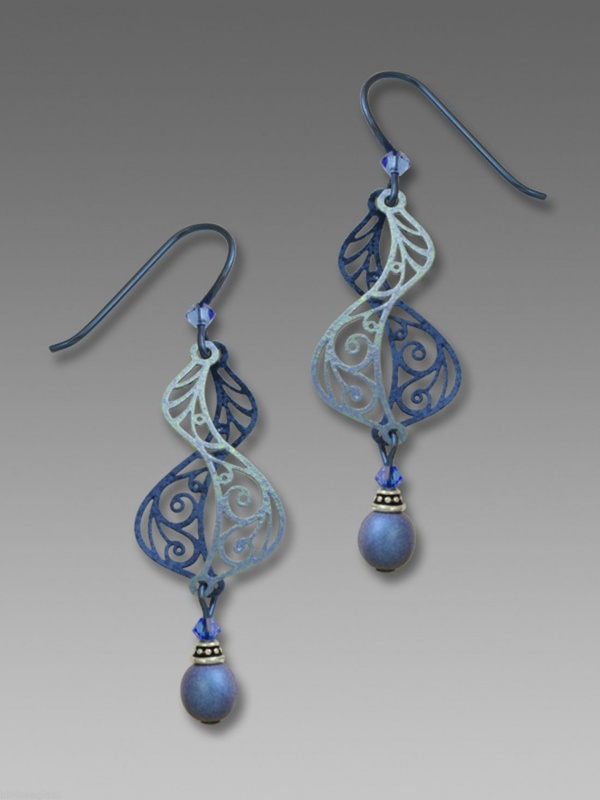 From symbolizing culture to beauty, bead earrings continue to be a trendy accessory to many women. Apart from improving the way an outfit looks, these earrings depict character and style that will make any woman look stylish. In terms of fashionable accessories, these cute earrings are so versatile that they stand out in terms of color, volume and design. Whether you prefer hoops, studs or chandelier design, there’s a bead earring that reflects your unique personal style. 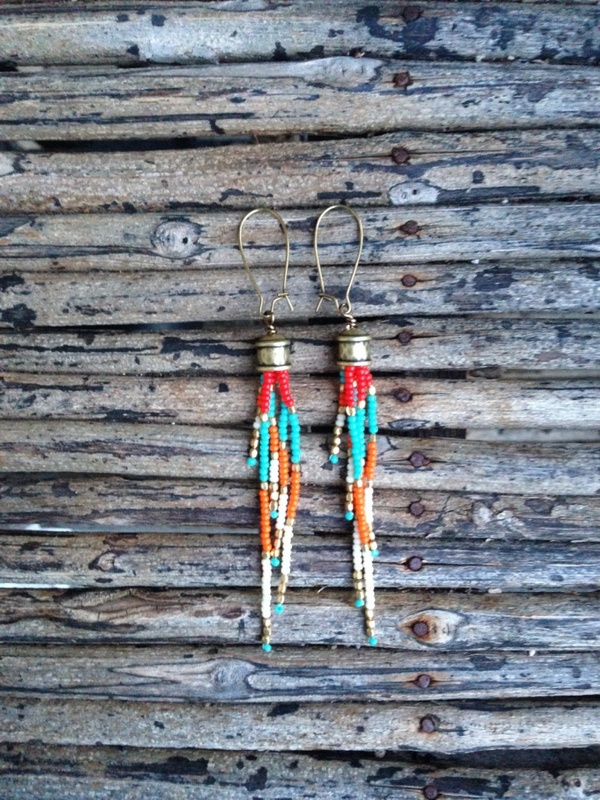 There’s nothing more glamorous than seed bead earrings in vibrant colors. Made with high quality Czech seed beads and a durable Japanese bead weaving thread, this jewelry is both lightweight and comfortable to wear. 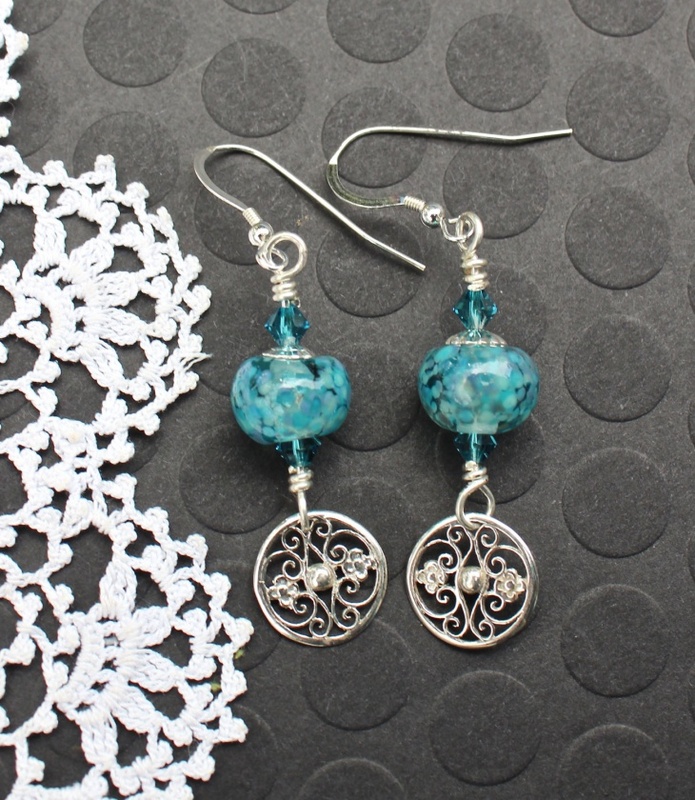 These leaf blue glass bead earrings portray a lady who is approachable and down to earth. The silver element on this jewelry gives it a modern appeal. 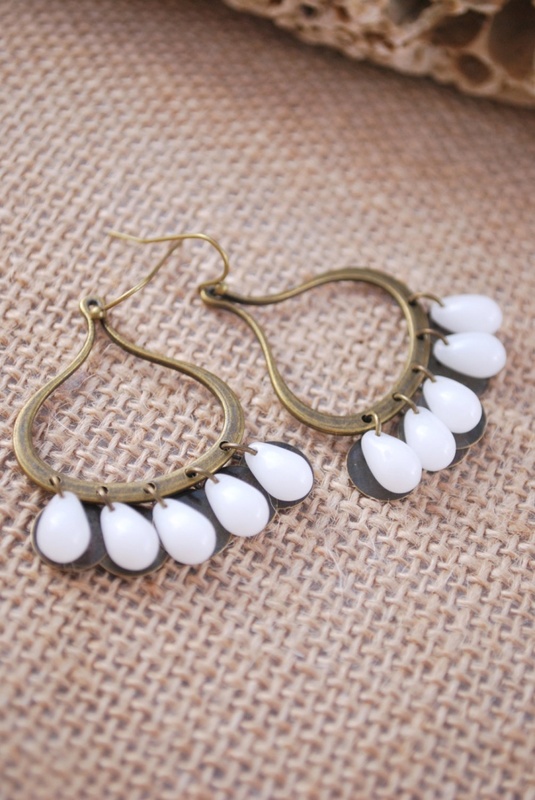 Women with round face shapes can use dangle earrings to elongate their faces. 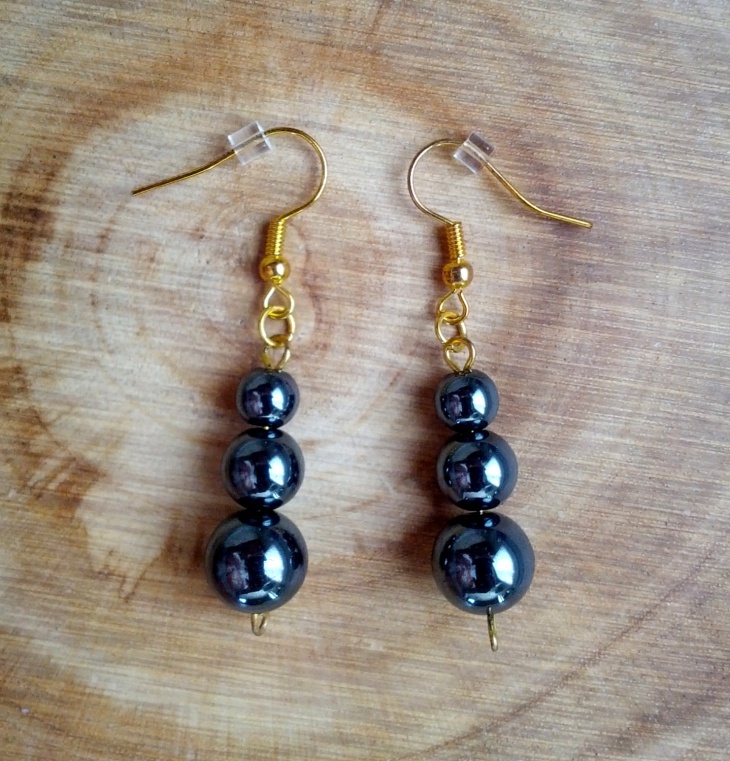 Vintage bead earrings tend to make a bold and lasting impression either at work or on a date. 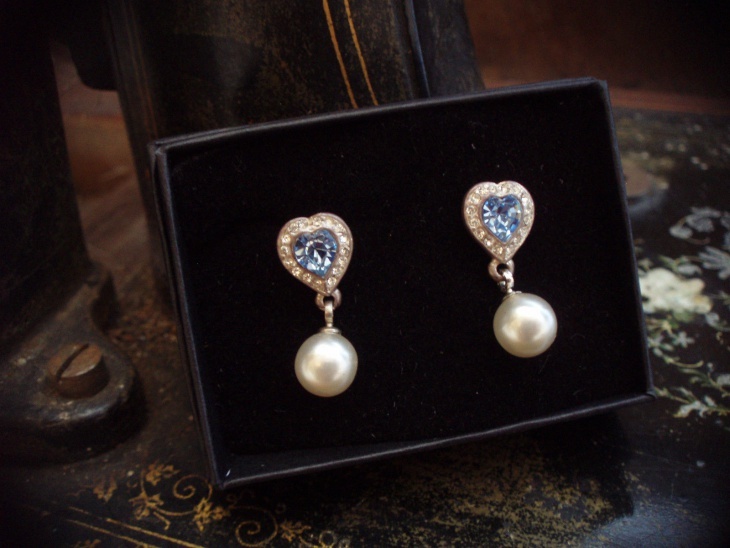 Since vintage jewelry pieces tend to remain trendy, you are guaranteed to look fashionable and classy when wearing these earrings. 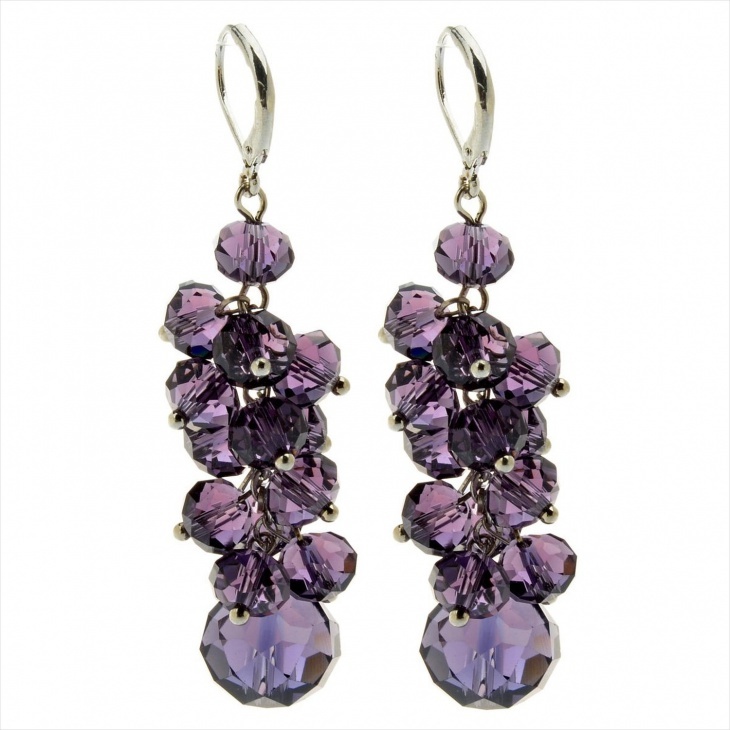 Precious gems in this bead drop earrings portray a product authenticity and a cheery personality. 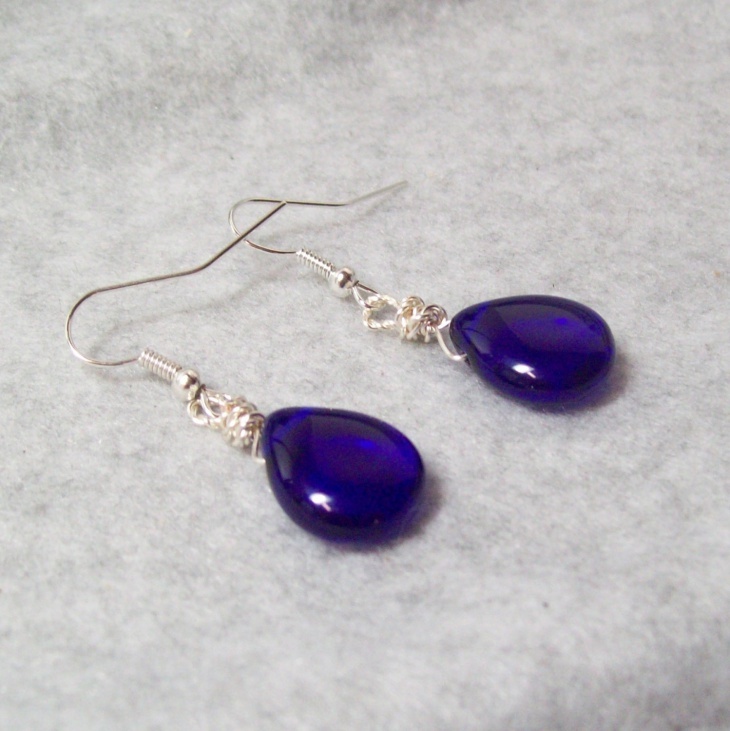 The silver color metal and sapphire crystals exudes an elegant style that is perfect for a bride, a formal event or a date in a classy restaurant. 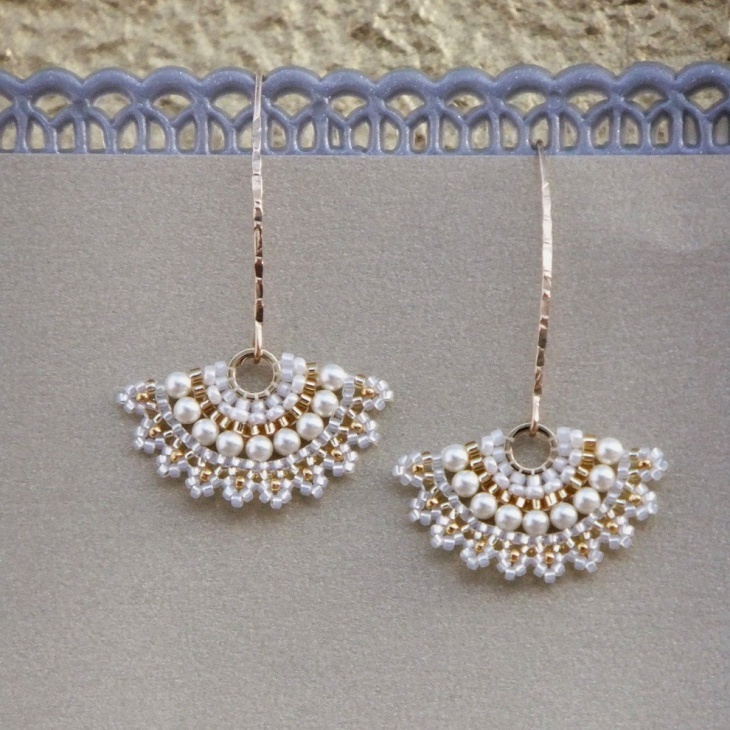 Do you need a dramatic earring that is also different? 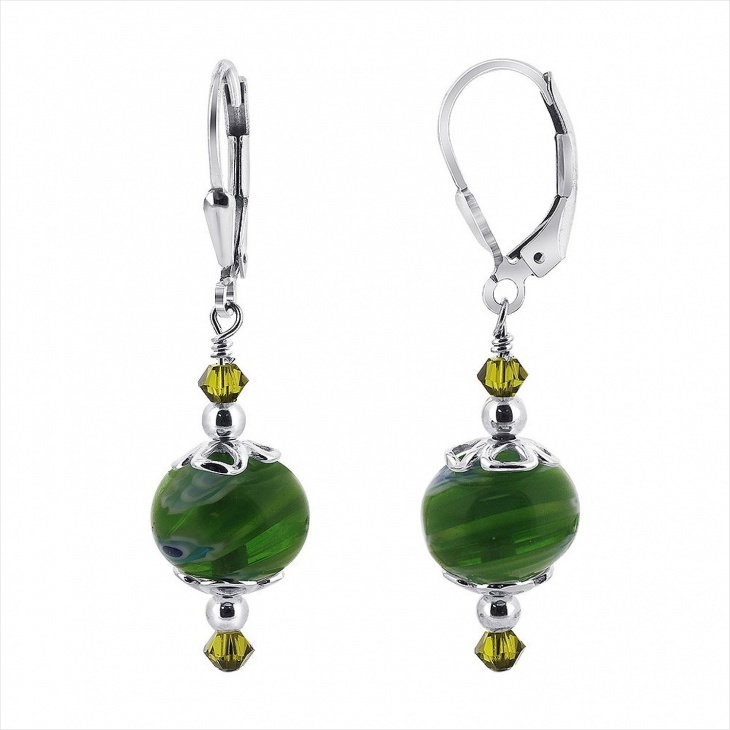 Your simple outfit will look vibrant when your pair it with multi colored bead earrings. 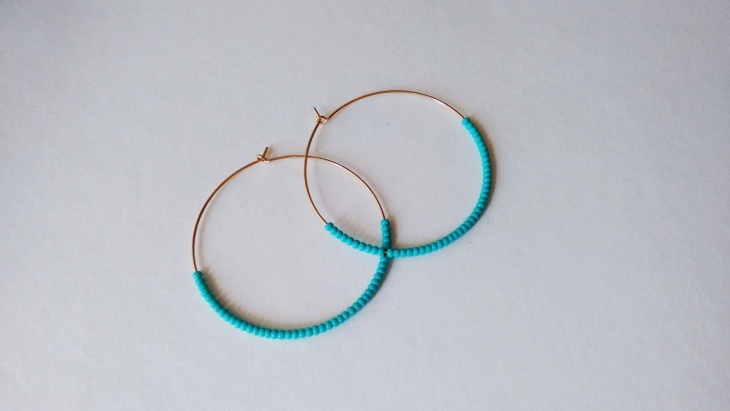 You can also wear these bold earrings to symbolize your vast knowledge of culture. 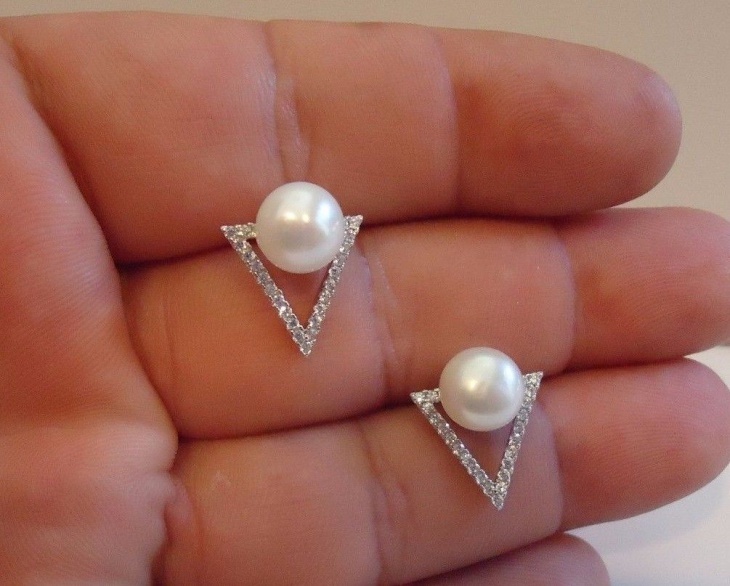 Pearl earrings are a must have for ladies of all ages. They not only enhance an outfit but this design is ideal for any special occasion. Women with square faces can opt for these earrings to soften their jaws and cheekbones. 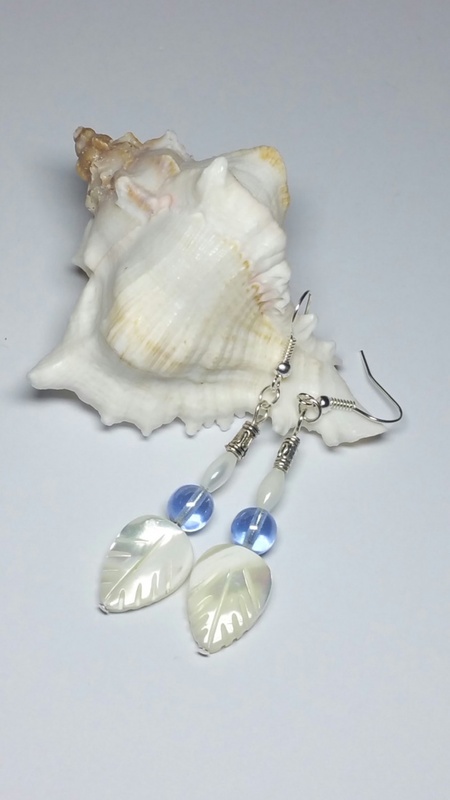 Your ears will look absolutely beautiful with these silver glass bead drop earrings. 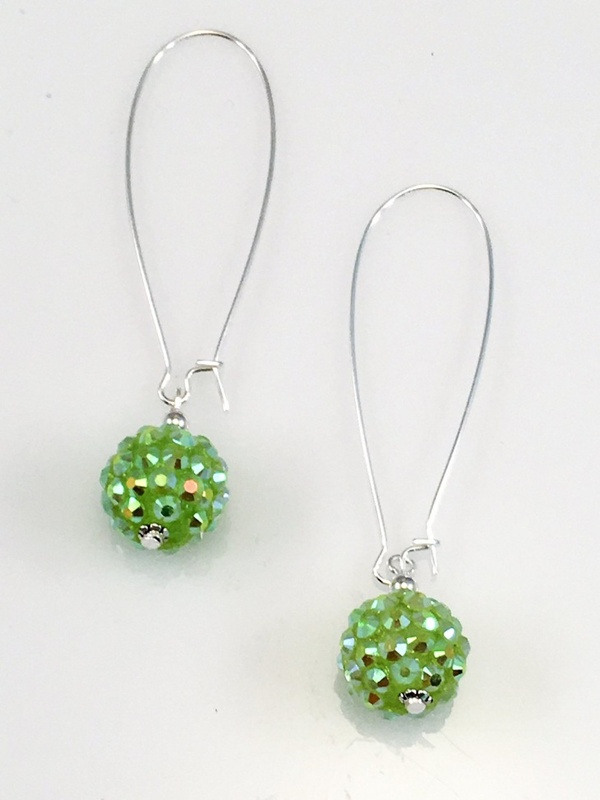 These handmade earrings feature silver flower, light green Swarovski crystals and green colored beads that make this piece of jewelry ideal as a gift for that special lady. 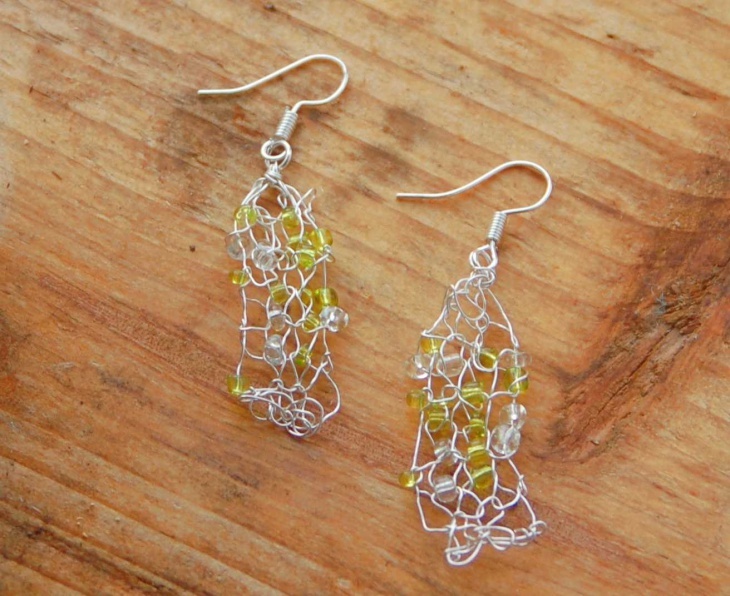 Dangle earrings will flatter individuals with diamond faces. The circle design which incorporates both wood and beads is perfect for going to parties, a casual outing or just hanging around with friends. 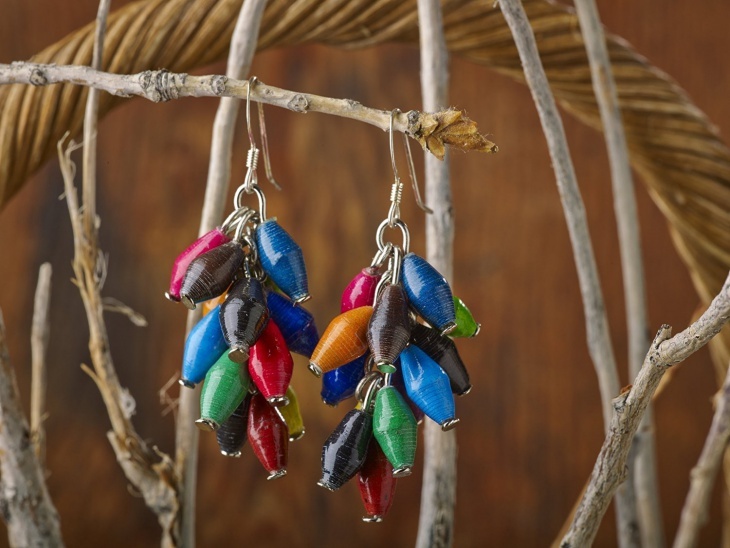 This colorful dangling bead earring will complement any neutral colored dress. Tie your hair back to allow these earrings to stand out. The chandelier shape of this jewelry is ideal for women with oval and heart shaped faces. 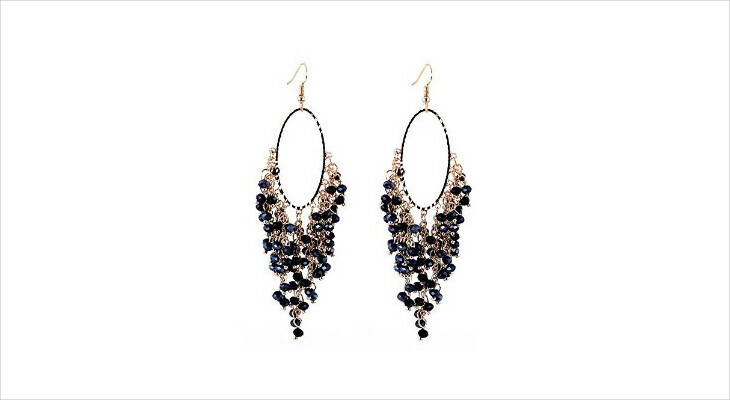 How to look fabulous wearing bead earrings? All women need different types of earrings to show their personality. Instead of the classic diamond earrings, opt for fabric earrings that suit your face shape or bullet earrings to describe your creativity. Whatever bead earring design you choose, always consider your face shape, makeup and the outfit you intend to wear. 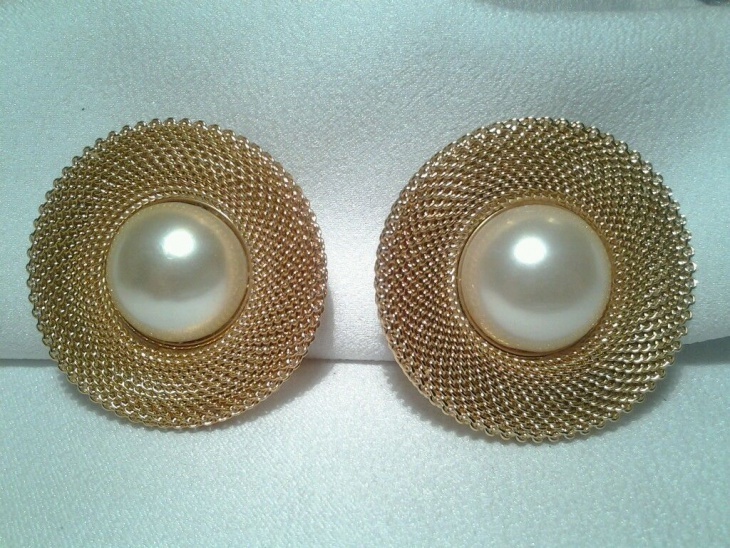 Earrings are an easy way for ladies of all age groups to accessorize and make a fashion statement. 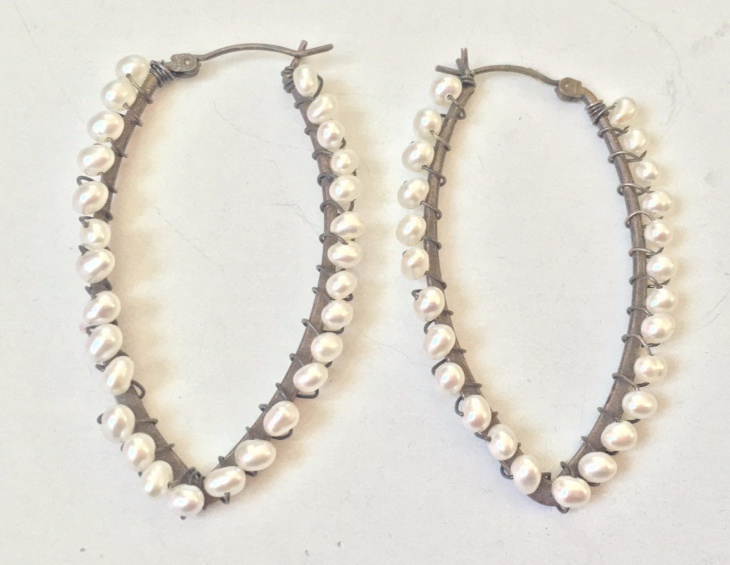 You can also use unique pieces of jewelry such as bamboo earrings to portray your personal style. 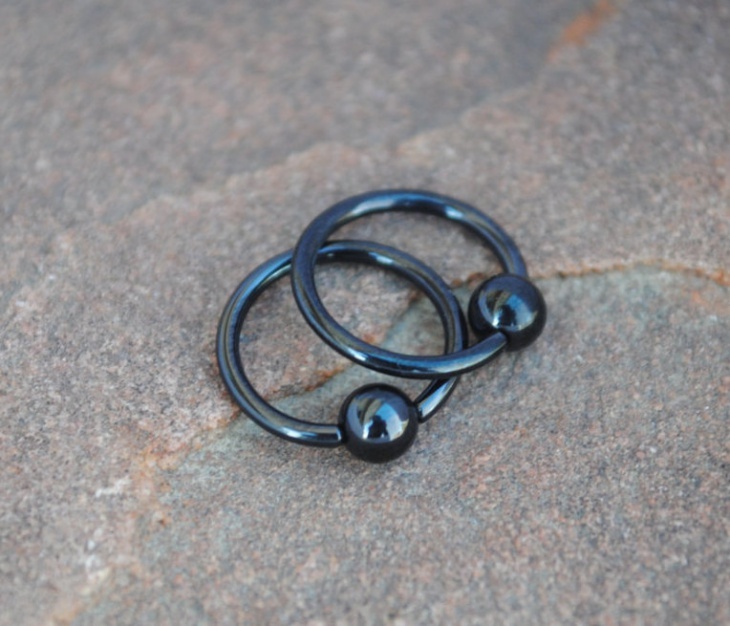 So, go out of your comfort zone and opt for one of these beautiful bead earring designs.